Crowds of Muslims gather at Al Aqsa mosque to celebrate rockets reaching as far as 'occupied Jerusalem'. A video has emerged showing hundreds of Arabs flooding the plaza of the Al Aqsa mosque on the Temple Mount to celebrate the sounding of air raid sirens in Jerusalem. 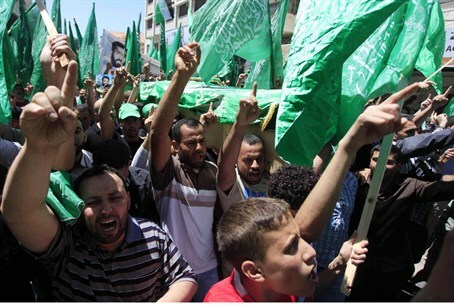 The crowds can be heard whistling and chanting in celebration of the fact that Hamas rockets reached as far as the capital city Tuesday evening. No casualties were reported, but some damage was caused. In response to the escalated threat the Jerusalem Municipality has opened all of its public bomb shelters and urged residents to take the necessary precautions. The video was initially shared by the pro-Hamas Quds News Network, which lauded the attack on "occupied Jerusalem". Hamas and other Islamist groups are known to have a strong presence on the Temple Mount.